I apologize for not having Sepia Scenes post up earlier today. I appreciate your coming back. The post will be up all day tomorrow. This is the mantle in one of the beautifully decorated rooms in Coe Hall at the Planting Fields Aboretum, Long Island. Here's my post for this week. Look forward to seeing you later. No apologies needed Mary. When I was hosting my Saturday Special meme, there were days I couldn't post early either. Anyway, I have mine posted for this week. Have a great week ahead. What an elegant Sepia Shot Mary! I don't see the elusive Mr. Linky. It seems that Mr Linky doesn´t want to be you. But my post is up now. The ornate chandelier and general details work well with sepia, adding the classic antique style! Wonderful shot. It looks like ivory. I have a post up also! No Mr. Linky spotted. 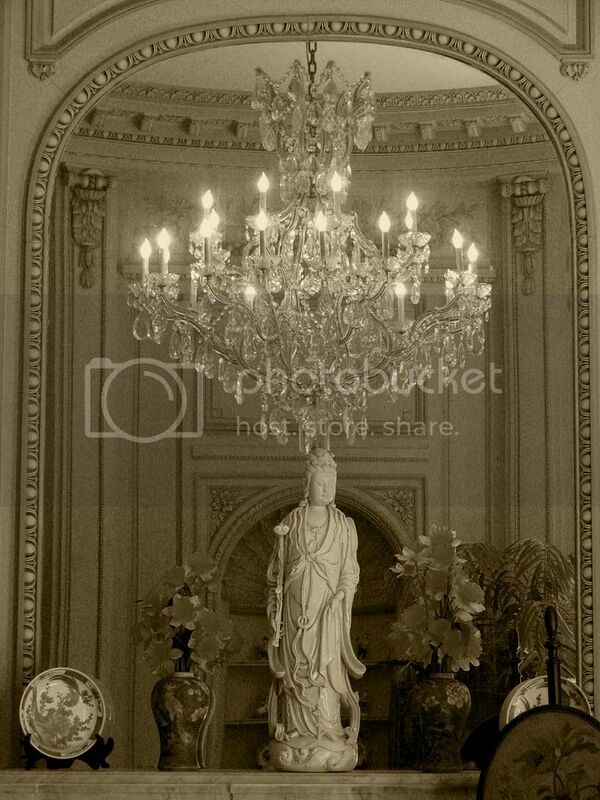 Love the Kwan Yin statue and the chandelier! Smashing in sepia. It's East and West in Sepia! Two different views on elegance. I really like it! If you want to wander down my road I’m home. That's a very elegant sepia Mary!! Absolutley beautiful! I think the chandelier (sp?) looks great in sepia. I don't usually think of putting clear things into a sepia tone, but this looks just great! That's a beautiful photo. Love that crystal chandler. Mine is posted at my place, A View of My Life. Have a great day! I clearly got sidetracked and spaced off putting my link in the pile yesterday. And I see Mr. Linky's gone UA again, but I do have a post in fact. 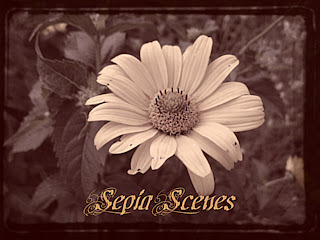 Your sepia this week is beautiful. What a beautiful image. I like the softness. I forgot to leave my link. In regards to my post...yes, there are several pelicans on those rocks. The Dana Point Harbor area has a plentiful population of those amazing sea birds! The mantle picture is awe inspiring. I just found this meme and I am delighted to participate for the first time!